The ski “station” of SainteFoy is a complete ski resort in miniature with a choice of bars, restaurants, a sports shop and a supermarket. 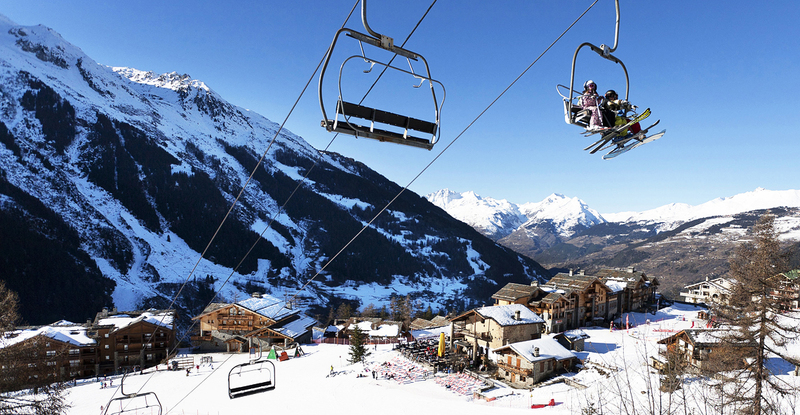 Sainte-Foy-Tarentaise is a pretty little village well known for its off piste skiing. Partway between Bourg St Maurice and Tignes, Sainte-Foy has only been running as a ski resort since 1991. It is therefore, still in its infancy compared to the larger, better known ski towns nearby. The ski station of Sainte-Foy sits at 1550m, and boasts all the amenities of the modern ski resort, with cute restaurants, bars and a few shops. 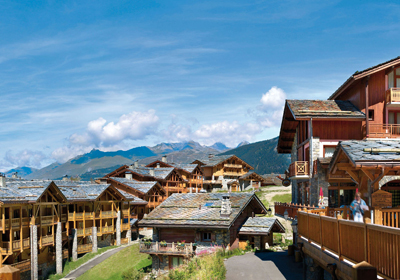 All the new development in the village has been built in the traditional style, ensuring the village has retained its quaint Alpine atmosphere as it has grown. The highest lift goes up to 2620m, and although the pisted ski area is more limited than in nearby resorts, there is superb off piste skiing. The resort is still something of a cult option, so it's rarely overcrowded in the way that many of the better known resorts can be. The original unspoilt nature of the resort is slightly less evident now than it was when Sainte-Foy first started getting recognition, but it still feels a world away from the larger resorts of Val d'Isere, Tignes, Les Arcs and La Plagne, all of which are within 30 minutes drive of the resort. 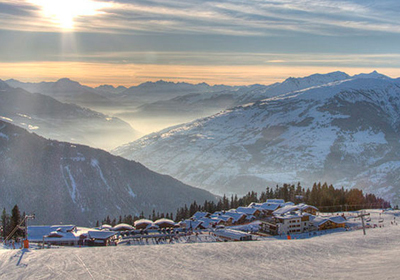 In terms of pure extent, Sainte-Foy-Tarentaise isn't even in the same league as most other ski resorts in France. Its local pistes are a good mix of blue and red runs, with a few more challenging black slopes, and a couple of winding greens. There are only four ski lifts in the area, and if you're most interested in mile crunching on piste this probably isn't the resort for you. Recent years have increased Sainte-Foy's appeal for families, with two good ski schools and great slopes for beginners. Even so, the real selling point for this resort is still the incredible powder skiing; the resort has a reputation for being the place to go to find fresh tracks days after a snowfall. The easily accessible off piste is a draw for powder hunters everywhere. The resort has excellent heli-skiing, with trips starting across the border, in Italy, and skiers heading down untouched powder basins back to the resort. The tree runs are perfect on low-visibility powder days, and the runs are rarely very busy. Local guides run day trips down some of the less accessible off piste routes, some of which lead down to neighbouring villages that you can catch a ski bus back from. The bulk of property on the market in Sainte-Foy is leaseback, with a number of new build apartment developments being introduced. New apartments for sale in the resort offer four star luxury in excellent ski in, ski out positions right in the heart of the resort. Sainte-Foy is a great choice for buyers looking for an investment property. For those looking for freehold properties, there are far fewer available. By and large, freehold property in Sainte-Foy tends to be chalets rather than apartments, and comes at a slightly higher price than the leaseback alternatives. 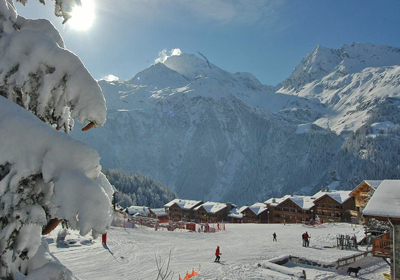 Even so, ski in, ski out chalets in Sainte-Foy are far more reasonably priced than in the surrounding Tarentaise ski resorts.